Dictionary of American Biography; The Yale Biographical Dictionary of American Law; Chidsey, Donald B. 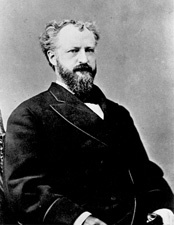 The Gentleman from New York: A Life of Roscoe Conkling. New Haven: Yale University Press, 1935; Jordan, David M. Roscoe Conkling: Voice in the Senate. Ithaca: Cornell University Press, 1971.